Peacemaking 101: Can Amy & Julia “Heart” Each Other? I decided to post this on the FertileHearted Human blog since it is as much about my fertility work as it is about my peace projects. 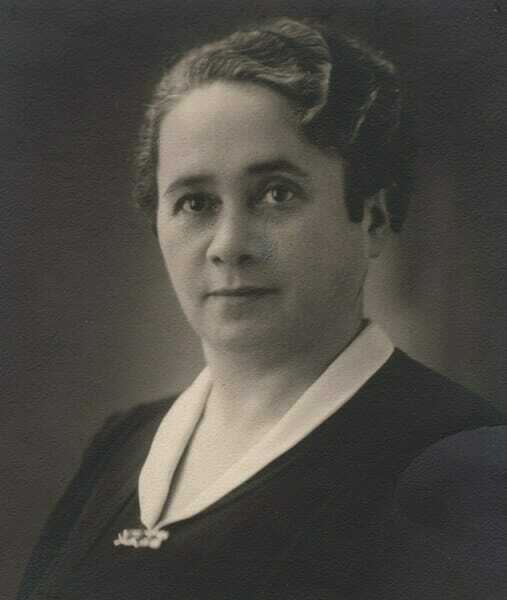 And this month, on January 27th I’ll be honoring International Holocaust Remembrance Day, so this story is a timely reminder of my most essential task as a humanoid: to keep turning the legacy of losses in my family line into a force for good. The error in the title was not intentional, but leaving it in was a conscious choice. The title I had in mind was “Can Amy & Julia Hear Each Other?”, but “heart” each other is what my grandmother would have wanted me to say. What does my grandmother have to do with The New York Times Fertility Diary and how in God’s name did she become part of this conversation? Yesterday I met Amy Klein, the NYT Fertility Diary columnist who has been the subject of several of my recent blog entries. We didn’t actually meet face to face. We tweeted at each other. Amy was the one who tweeted first, responding to the title of one of my recent entries. Amy: Really? @FertileHeart, I’m “desperate” & “arrogant?” And you’re meant to be supportive of women trying to get pregnant? Julia: Yes, @AmydKlein, for 20 years I have supported women trying to get pregnant in embracing their desperation instead of acting it out. After receiving Amy’s email, I have been wrestling with the part of me that asks, “How is it that the NYT’s editor was fine about citing the name of the Colorado Fertility Clinic, or Dr. Zhang and New Hope Fertility, but the mention of my first book, Inconceivable, was cut?” It’s the same part of me that wishes Amy would have clicked on my website and made the trip to Woodstock before she put so many of her eggs in the I.V.F. basket. I also wondered if Amy would indeed be able to hear me; was she genuinely interested in learning about my work or did she just want to pick up a few quick “tips” that would make her next I.V.F. a success? Later, my father learned from an eyewitness that my grandmother had died in a cattle car on the way to Auschwitz, a concentration camp in Poland. My grandmother’s maiden name was Yolan Klein. So Amy, it looks like we might indeed be each other’s healers, but I’m not sure yet how I can support you. I do hope that we can be in a mutually respectful relationship long enough for me to show you that you, like me, are eminently able to “take your fertility into your own hands.” Above all, I hope that we can hear, and “heart”, each other. Is there someone in your life who is challenging the peacemaker in you to listen and hear with a more open heart? My teachers were the other fertility forums I was on before Fertile Heart. I posted on a site the morning of my pregnancy test after my first and only IVF. I felt broken down and hollow on the inside. I just knew in my heart the IVF had not worked. I posted asking for support. I received 1 reply. It said ” You have already given up? Then of course your test wont’ be positive. If you are not positive then of course the test won’t be….”. Then the same person directed me to links of first time IVF success stories to help me stay positive. It was a wake-up call! That was it for me. I decided I was in the wrong fertility ” space” and I needed to move somewhere with like minded people. Then I found fertile heart and I am grateful for it everyday- it has helped me to heal and move forward in ways I never thought possible. 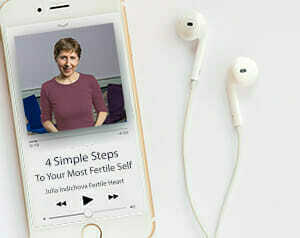 After reading her blog I hope she can connect or i should say she can heart you and Fertile Heart. Reading her blog has reminded me of how desperate I have felt when there has been no news or bad news. Your work Julia continues to be a magnificent journey for me helping me find my own truth and guiding my child to me. yes! I have a “teacher” at work. A co-worker. I confided in her last year the struggles of getting pregnant. I did not tell her everything only that it has taken a long time. Which she replied “I know how you feel, I am pregnant now and it took 6 months”. I wanted to scream YOU HAVE NO IDEA. I wanted to tell her my entire story including miscarriages partially to make her feel bad that she thought 6 months was such a long time to conceive and naturally too. However since this occurrence and my annoyance at watching her pregnancy; I have realized she is a teacher of some sorts for me. A way for me to heal. Since sometimes I need to be hit over the head a few times before I “get” something, this has taken my watching her entire pregnancy before I realized this. However now that I have, I have softened (somewhat). I know the more I look into this the more I will heal. Julia, I’M PREGNANT!!!! Yes, it happened!!! Julia, this has been such a jubilant time—the affirmation from the universe of what I always knew deep down was possible, but was sometimes too afraid to dream—that I am fertile, that my baby CAN come to me, that there is nothing ‘wrong’ with me.